This particular glaze comes with a Health Caution. It contains some elements that if consumed can be dangerous, therefore it should not be used by children. Please refer to the label for specific cautions and advisements. 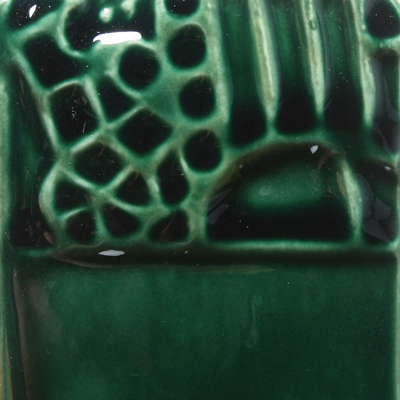 This green glaze has been moved into the Element glazes range because the properties of this particular copper-based glaze is more consistent with Elements than Foundations.